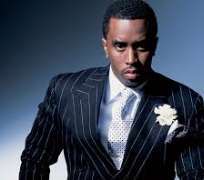 Fans of Bad Boy rapper, P Diddy must have felt pity for him when he slipped off the stage during his performance at the BET Awards held at Microsoft Theatre Los Angeles yesterday. But guess what, the rapper isn’t moved at all but rather having a little fun with the epic fall, ‘I was getting so loose I fell! LOL, but really though I busted my a**!’ he wrote on his Instagram page shortly after the ceremony. The fall didn’t however matter as he was soon joined by his former Bad Boy label mates, Lil Kim, Faith Evans, Ma$e, Pharrell Williams and French Montana with whom he performed a medley of their past hits which got the audience singing along. The night also witnessed exciting performances from several popular acts including Kendrick Lamar, Chris Brown, Omarion, Janelle Monae, and Alicia Keys who surprised the audience when she joined The Weeknd to sing his hit, Earned It. Some of the winners of the night include Sam Smith, Serena Williams, Kendrick Lamar, Chris Brown, Nicki Minaj all of who won their various categories. The BET Awards is organized by Black Entertainment Television Network and seeks to celebrate African Americans and other minorities in music, acting, sports, and other fields of entertainment.